We are almost at the end of the weekend and I hope you guys had a wonderful weekend! It's time for another #SGSwatchFest and today's theme is for a cause that's very close to my heart. April is the month for the Prevention of Cruelty to Animals and being an animal lover and having a dog at home, I'm really happy to show my support for this worthy cause. The Orange Ribbon for Animals shown above is the official awareness ribbon for at-risk animals and that is the general color for this week's #SGSwatchFest. 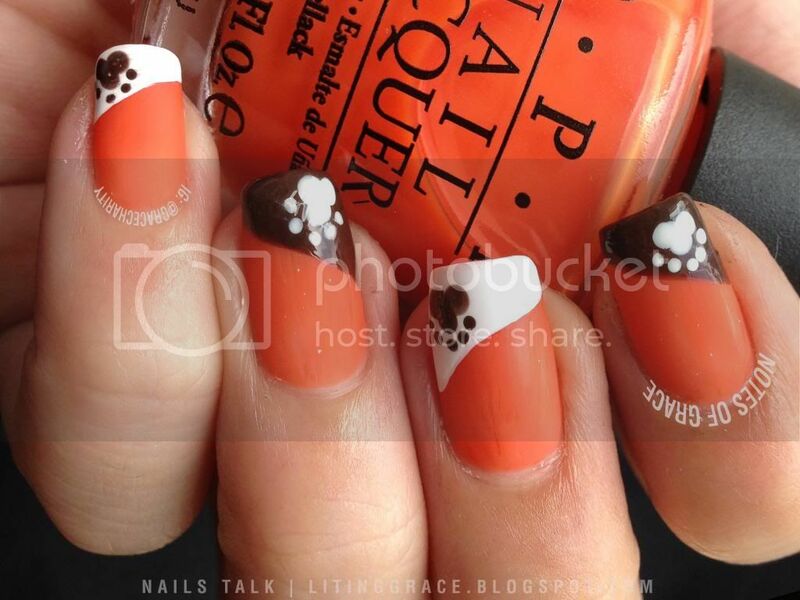 For this mani, I decided to go for base with a matte finish instead of the usual glossy finish. 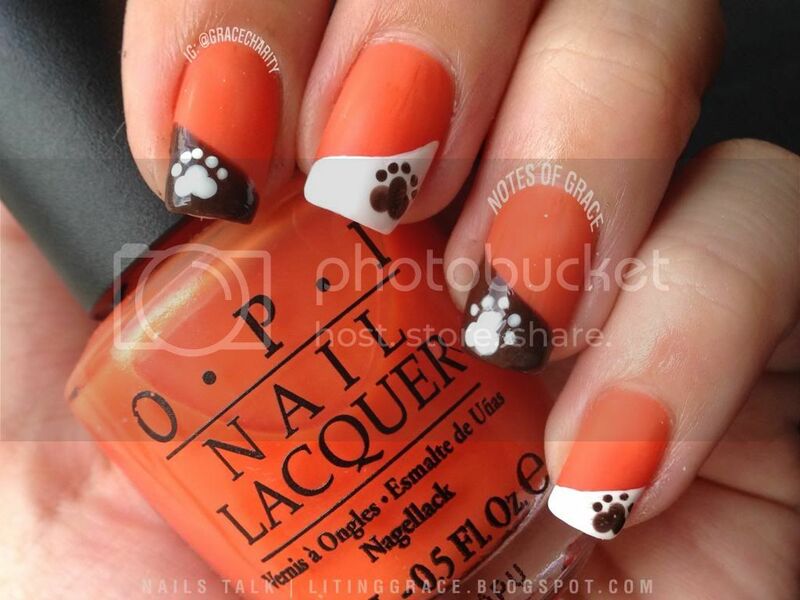 After which, I painted a slanted strip on the tips before using the dotting tool to create a paw print at the corner of the nails. OPI Y'all Come Back Ya Hear is one of the very few orange polishes that I owned and this is actually my first time using it despite having it for a while. It's a jelly polish and I required three coats to reach opacity. Without the matte finish, it gives off a very squishy finish and would fare very well for a jelly sandwich. 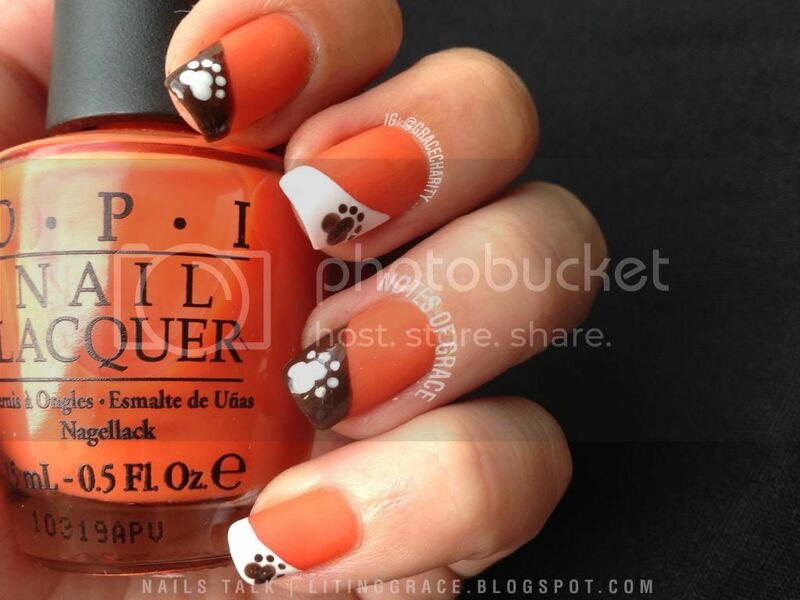 As with most OPI polishes, formula was great and I had no issues with application. Please do pardon the white specks on the ring finger, it seems that using the Essie Matte About You tends to give me this problem. Before I end this post, here's our Prince at home making a special appearance. Many people do not know this, but our Prince was actually abandoned by his previous owners before we brought him home. When we found him, our poor Prince was actually hanging to the edge of a pond trying to not fall into it. He was soaked to the skin as there was a heavy downpour the night before. When we first brought him home, he was very defensive and each and every time we tried to go near him, he would start growling at us. 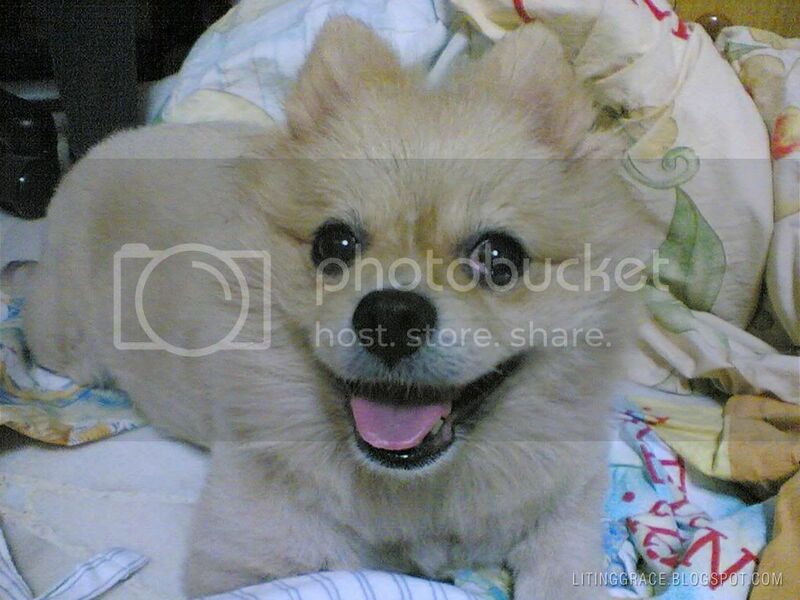 Luckily, he had a friend to keep him company, our beloved Pomeranian, Girl Girl who has since left us for a better place. As days went back, our Prince started warming up to us and have never look back since. 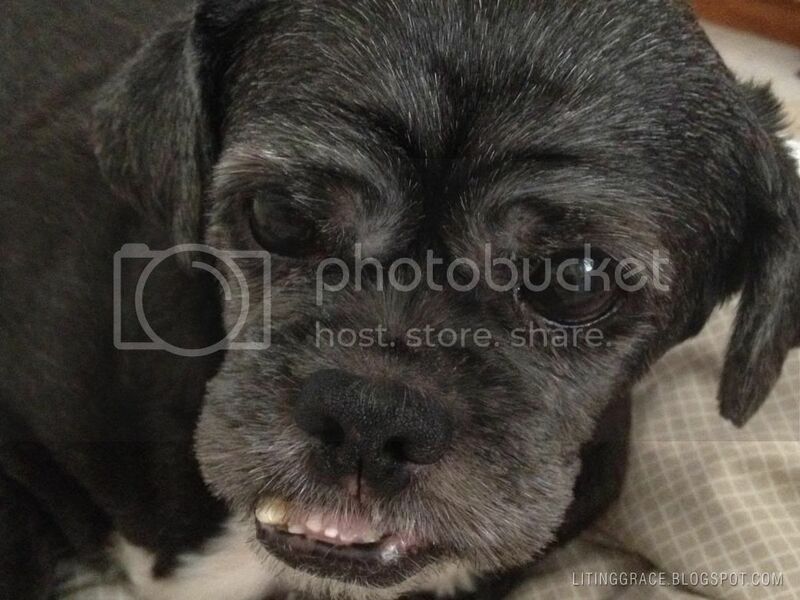 It's been more than 10 years since he first came to our home and till today, he never fails to bring laughter to our family. He's the last I see before I leave home and the first I see when I reach home. He's always there for me, when I'm feeling down, when I'm happy. They always say a dog is man's best friend and I totally agree with that. Our beloved Princess, Girl Girl. 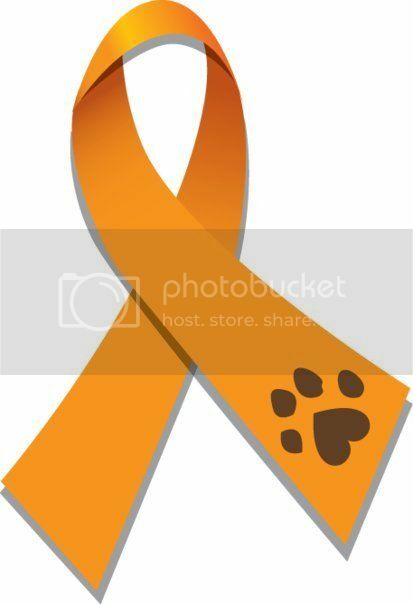 Let us all do our part to show support for the animals not only by donning orange but also through the non-profit organizations such as Society for Prevention of Cruelty to Animals in Singapore. That's all for Nails Talk today and till the next, have a good night rest and get recharged for the brand new week ahead!